How do grid tied systems work? Solar panels are typically installed on the roof of the home and/or garage. These photovoltaic (PV) cells convert sunlight into direct current (DC) power. The inverter(s) convert DC electricity from the solar array to the AC electricity found in the building. The bidirectional meter which is supplied free of charge by the utility, keeps track of both the energy imported from the grid and the energy exported to the grid. Savings and export credits are reflected on your electricity bill. If you own an electric car, you can charge it up with solar power generated on your own home. Photovoltaic (PV) modules convert sunlight into direct current (DC) power. Are there any government incentives available? Currently, small Micro Generation producers in Alberta will automatically receive credit which is equivalent to their current electricity rate, for surplus electricity generated and exported to the grid. For instance, if you are currently paying 8 cents/kWh for your electricity, you will also receive 8 cents/kWh for any excess solar energy that is fed back to the grid from your PV system. The bidirectional meter which is supplied free of charge by your Wire Services Provider, keeps track of both the energy imported from the grid and the energy exported to the grid. These meter reads are processed on a monthly basis and any excess solar energy supplied to the grid will show up as a credit on your monthly electricity bill. Terms of reference are defined within the Alberta Micro-generation Regulation. Furthermore, if you decide to sign up as a SPARK Certified Green Generator, you could receive 1.85 ¢/kWh for the renewable energy attributes of your exported energy, in addition to the credit that micro-generators currently receive for the sale of their exported electricity. For more information about the SPARK Green Offset Program and how to sign up as a SPARK Certified Green Generator, please click here. The Alberta government has launched a $36-million rebate program for new solar PV installations on residential, multi-residential and commercial buildings. Through the Residential and Commercial Solar Program, homeowners, businesses and non-profit organizations will be able to receive a partial grant for grid connected solar PV systems. All eligible solar systems installed after April 15, 2017, will receive the provincial solar rebate. Residential Solar Rebate: $0.75/Watt for up to 15kW (Rebate cannot exceed 30% of eligible expenses or $10k) Commercial Solar Rebate: $0.75/Watt for up to 5MW (Rebate cannot exceed 25% of eligible expenses or $500k) More details about the Residential and Commercial Solar Program can be found here. To get started, please fill out our site assessment form here. We will contact you once we have received your request. The Alberta Municipal Solar Program will provide rebates of up to $0.90 per watt to municipalities for installing solar on municipal buildings, such as offices, fire halls, community centres and more. Projects up to 5MW of installed capacity will receive the full AMSP rebate. The rebate provided by the MCCAC will not exceed 25% of eligible expenses. The Alberta Municipal Solar Program started accepting applications on March 1, 2016. The Growing Forward solar program for agricultural producers will provide provincial and federal funding towards solar energy systems on Alberta farms. This program will help producers generate their own electricity and save on energy costs while reducing their carbon emissions. The grant program was recently updated with the following terms: 1. Retroactive projects will no longer be accepted. If a project has been initiated (ordering or purchasing equipment, equipment delivery, component construction, etc.) prior to the approval of the application, it will NOT be accepted. 2. The grant rate has changed to align more closely with the Residential and Commercial solar programs. Grant funding is calculated as follows: ?100 kW: $0.75/Watt to maximum 35% eligible cost share 100.01 – 150 kW: $0.56/Watt to maximum 27% eligible cost share 3. In order to qualify for the On-Farm Solar PV grant program, an applicant must have an Electrical Distribution Rate Class that is rated as Farm, or equivalent, as of the month of January 2017. Proof of this rate class will be required, and can be found either on your electrical bill or obtained from your electricity retailer. 4. If you do not have an Electrical Distribution Rate Class that is rated as Farm, or equivalent, please refer to http://solar.efficiencyalberta.ca/ to determine if you may qualify under other provincial solar programs. The Alberta Indigenous Solar Program (AISP) is a pilot program that provides grants to Alberta Indigenous communities or organization to install solar photovoltaic (PV) systems on facilities owned by the community or organization. AISP provides funding for up to 60% of eligible expenses up to a maximum of $200,000 per project. Applicants can access other non-Government of Alberta funded programs to cover the remaining 40% of the project costs. The maximum funding stacking level is 100% of eligible costs. The Town of Banff has aligned its Solar PV Incentive Program with the new provincial solar rebate program. The Town of Banff Solar PV Incentive Program will now provide an up-front solar rebate, which matches the provincial rebate at $0.75/Watt. This is equivalent to $750/kW of installed solar capacity. The maximum system size up to which the Town will provide a rebate is set at 7.5 kW. Participants in the Banff municipal Solar Incentive Program are also eligible to receive the provincial solar rebate. Click here for more information. A limited number of solar incentives of $1,250 are available to residents and businesses to help offset the cost of purchasing and installing a solar electric system in Canmore. Eight incentives are available and will be selected by lottery Wednesday, July 19, 2017. Your application must be received by 4 p.m., Tuesday, July 18, 2017 to be considered. All projects must meet building and electrical safety code requirements, and the minimum installation requirement is a 2.5kW solar electric system. Click here for more information. Grant of one third of system costs up to $5,000/year. Click here for more information. Grant of one third of system costs up to $15,000/year. Click here for more information. Grant of up to 50% of system cost up to $50,000/year. Click here for more information. Offers a one-time rebate, equivalent to 20 per cent of eligible costs to a maximum payment of $20,000. Covers eligible costs that include capital and installation costs for the energy production meter, identified separately on the invoice; and capital and installation costs for the renewable power generation equipment. Available to SaskPower, Saskatoon Light & Power and City of Swift Current electricity customers. the incentive is paid at the end of the project, once the PV system is installed and passes inspection. A 50% accelerated CCA is provided under Class 43.2 of Schedule II to the Income Tax Regulations for specified clean energy generation equipment. Eligible equipment includes solar thermal, solar air and solar photovoltaic equipment while project size restrictions have been eliminated. Depreciation of the solar asset can only be applied to solar revenues unless the business is involved in manufacturing or processing, mining or the sale, distribution or production of energy of any kind. Keep in mind that incentive programs can change quickly and the information above may not always be completely up to date. Please contact SkyFire Energy for the most up to date information. What is involved in a solar site assessment? 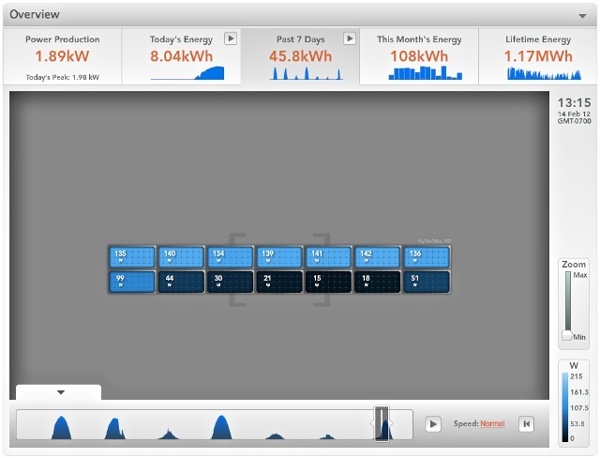 Determine location of inverter(s) and integration in to the building’s electrical system. SkyFire will provide preliminary ballpark cost, energy production, and an economic analysis specific to your home/building through email as a first step. We would be pleased to provide a free and comprehensive site assessment after this initial step. For new construction residential and commercial projects, SkyFire can provide a design and quote directly from the drawings for the building. – Contact us to get started today! What is the residential solar installation process like from start to finish? Initial estimate – If high quality satellite images are available, we can provide accurate estimates for system size and energy production for your specific house. Site assessment – We visit the site to obtain detailed site specific information required for a solar installation including detailed roof measurements, electrical capacity of your electrical system and a shading analysis (if required). For a new construction home, SkyFire can design a system right from the architectural drawings. System design & quote – SkyFire will design a system specific to your roof space, budget and electricity needs. This is an iterative process and multiple options can be presented. SkyFire provides you with a sketch showing what your home will look like with solar on the roof as well as an economic analysis. Permitting and grid connection application – SkyFire takes care of ALL the permitting required (Electrical, Building and/or Development permits) and the application to connect the system to the grid. Installation and commissioning – By our highly trained and experienced installation crews. It’s that easy! Contact us today to get started. 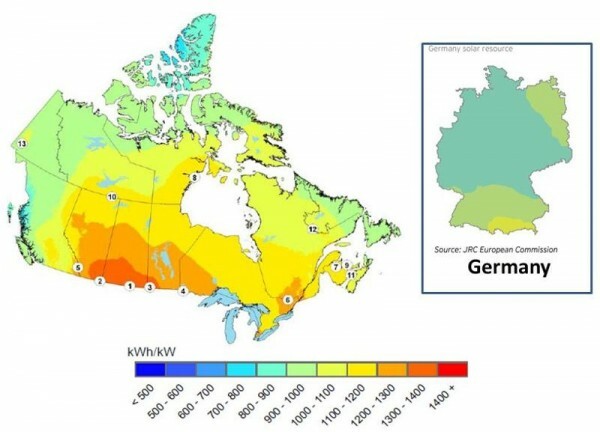 How does Canada’s solar potential compare globally? 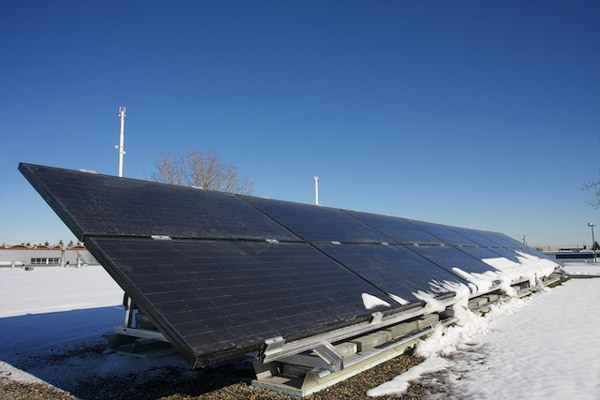 To help illustrate this point, we recorded a time lapse video showing the snow clear from our Calgary office’s solar array after a snow storm blew through. The roughly 6cm of snow was cleared by 2:30pm the day after the snow storm. Will my solar panels stand up to hail? Well, that being said, we learned that solar panels are not 100% safe when tennis ball and baseball sized hail hit a Southern Alberta town called Cardston. We do know of one solar PV system in Cardston that had broken panels from the hail storm. Then again, virtually everything in Cardston was damaged or destroyed by hail, including a report that half the vehicles at the dealership in town were damaged so bad that they had to be completely written off! The solar panels in this case were mounted flat by the homeowner and not tilted South. 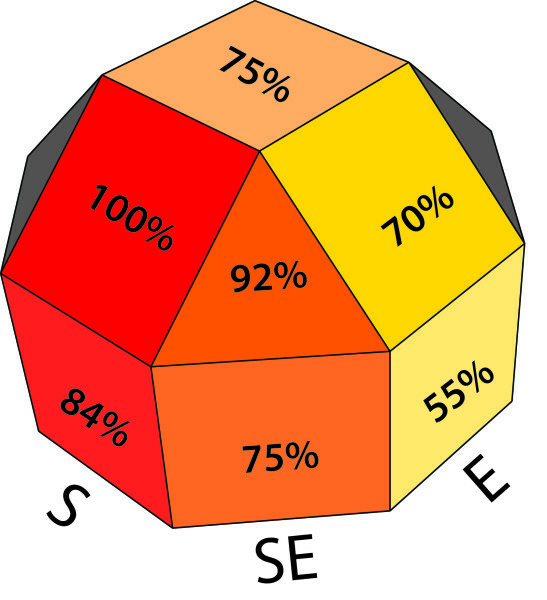 Had they been tilted South, they likely would have survived indirect strikes of hail from the NW. The module’s (panels) tempered glass is typically rated for 1? hail at 55 mph. So, should you still put solar on your roof, YES, of course! In the absolute worst case, if your house gets pummelled by baseball sized hail, the solar modules, the rest of the house (shingles, siding, skylights, windows, eaves, etc.) and your vehicle glass and body will all be covered by insurance. Just make sure to add the solar system to your insurance policy, typically there is no additional fee for this, and if there is a fee it will likely be in the range of $20/year for most systems. And the winner is… Solar! How does the angle of a solar array affect performance? The more perpendicular to the Sun’s rays a solar module is, the greater the output. Having your modules face directly South (Azimuth = 0) and at a 45 degree tilt from the horizontal is ideal in Calgary. As we can see, the overall effect of deviating from the ideal is not altogether significant.